Yes, it’s true. After years of blogging about new authors writing exciting new ebooks for the Kindle, I decided I had to write one too. 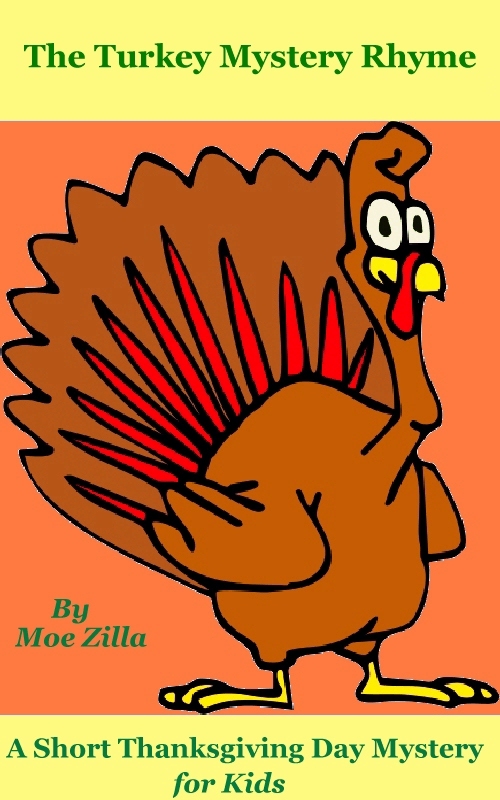 The whole thing is written in rhyme, offering a “Thanksgiving mystery” that’s fun for young readers and grown-ups too. There’s four talking turkeys that are awaiting the farmer’s axe on Thanksgiving Day — but one of them has a plan for escaping! (“For Thanksgiving, try this game. Find the guilty turkey’s name!”) I worked hard, cranking out more than 16 pages of rhymes and including 12 different illustrations. 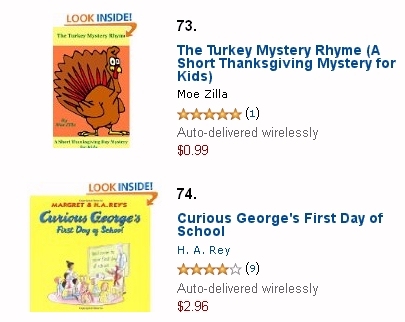 And the next day I discovered that my turkeys had snuck onto Amazon’s list of the best-selling children’s ebooks about animals — and they’d stolen the #73 spot from a book about Curious George! 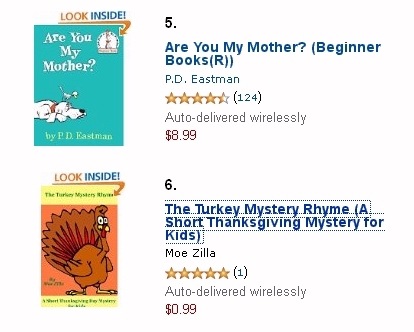 And within an hour, they were in the top six on Amazon’s list of children’s ebooks about birds — appearing right next to one of the very first books that I’d ever read in my life! Amazon had surprised me by publishing my book within 12 hours after I’d submitted it to the Kindle Store. (I’d heard estimates of “24 to 48 hours.”) Since it’s a Thanksgiving story, I’d wanted it released this week, but…well, I’ll just quote the e-mail I sent to my friend. And you can create that book in Microsoft Word. (Or, heck, any text editor.) You can cross through that paper-thin line just by cutting and pasting! 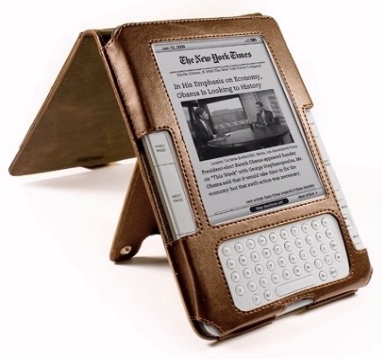 Anyways, tinyurl.com/TurkeyBook – and tell any friends you have who own Kindles!